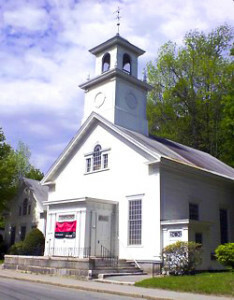 First Congregational Church of Wilton, Maine. We are the First Congregational Church of Wilton, United Church of Christ. Founded in 1818, we continue to gather in faith, two centuries later. We are called by Jesus Christ to love and serve in the image of Christ, loving God and neighbor, and serving all who are in need of God's love through us. All people are welcome here. We honor all people as children of God. Our Holy Communion services are open communions, and people of every age who seeks to know Jesus Christ, are welcome to participate in this sacred meal.